West of this dock is for advanced windsurfers. This area is not visible from the Jericho area, because it is behind the dock. Avoid this dock. There are often fishing lines and crab traps submerged in this area. These launch pads are used to lower sailboats and rescue/lesson motorized boats into the water. They are made of pavement, and will damage windsurfing boards if you make contact with them. #4, 7, 10 are surrounded by sand. #12 is surrounded by rocks. Stay away from launch pads. These are the best areas for launching windsurfers, and returning them to shore. Beware of rocks and pebbles when the tide is low. 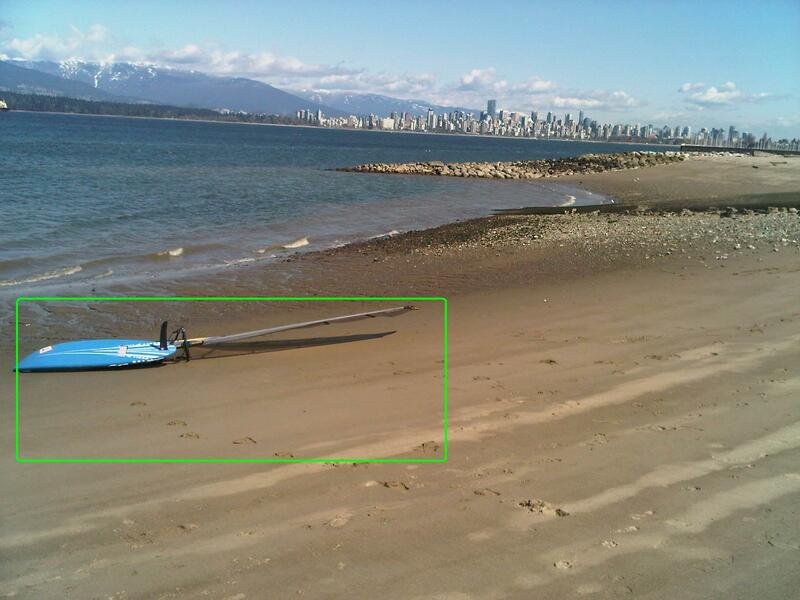 These are the best areas for launching our windsurfing boards. Shared with rowboats and kayaks for launching, and returning to shore. Rocky area which will damage windsurfing boards if you make contact with them. There are stronger currents in this area, moving towards the East. When sailing, stay as far west from here as possible. Beginners should not be getting into this zone. This area is not visible from the Jericho area, because it is behind the rocky area. When sailing, stay as far west from here as possible. This is the farthest out you should go, if you are a beginner (Level 1). 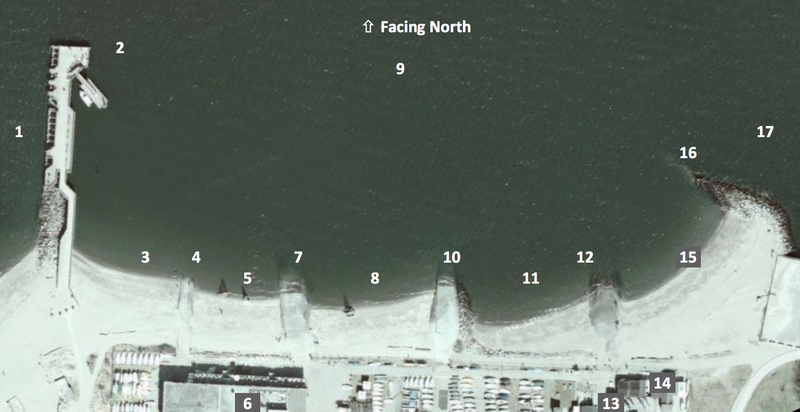 Oftentimes after the winter season, the tides deposit many large rocks and pebbles in the beach surrounding the ramp near the windsurfing launch area - see areas labeled #11 and #12 in the map above. Some of these rocks are submerged and not visible. No equipment should be left close to or on the rocks. In addition to members being alert and cautious, this will help preserve our gear. We all want to avoid downtime from damaged gear. BAD! This debris can be brutal on our windsurfing boards -- boards can be damaged easily by these rocks. The rocks are worst immediately adjacent to the ramp as illustrated in the picture with red circle. GOOD! 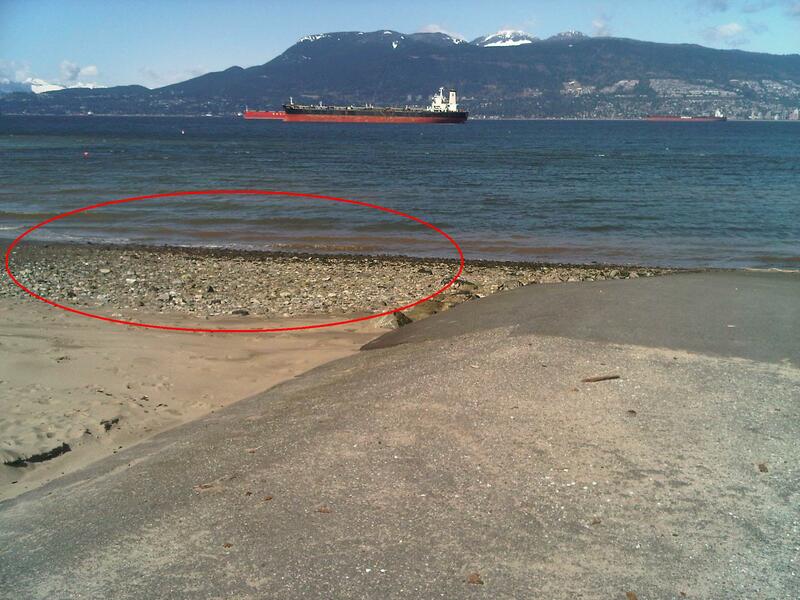 If there are rocks on the beach, it is best to launch from far west side of beach away from the ramp and the rocks, as illustrated in the picture with the green square.